Your candidate may appear to be ideal but many times, there is information that the prospective dealer/operator may not be disclosing. Our Prospective Operator Report will help you uncover this information by confirming your applicant’s financial stability, background, and history of delinquent or criminal records. Has your candidate made full disclosure on their application? Does the candidate have the financial stability to operate the dealership? Reduce your risk by getting an in-depth screening report that includes the verification of the applicant's financial picture and background information. We include current data to confirm liabilities such as credit card balances, mortgages, term loans, lines of credit and leases. We also look at derogatory credit information, NSFs, late payments, collection claims, legal actions, legal judgements and bankruptcies. Background information about an applicants current employment, educational credentials, and professional accreditations is included. Criminal activity or negative media exposure, plus the identification of false information on the application will help you determine risk. 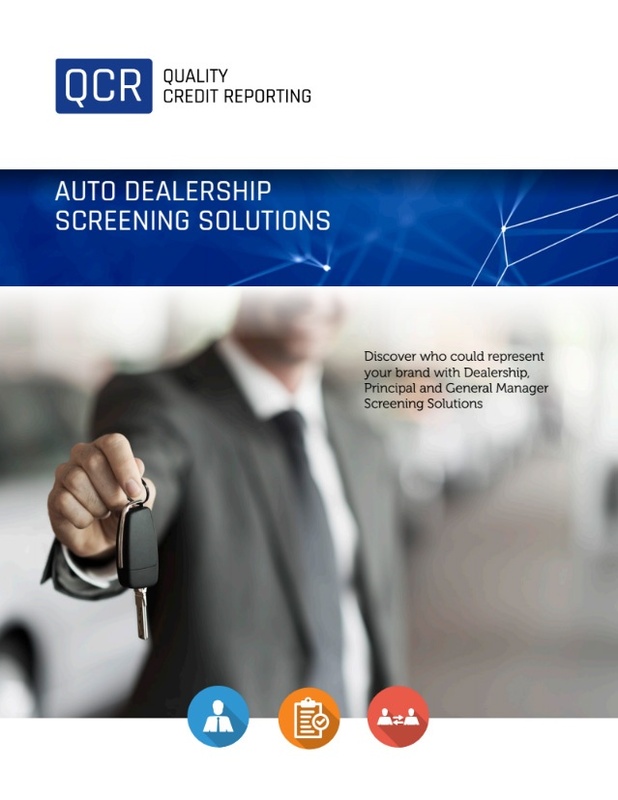 Request a sample report for Dealership Screening or ask us about pricing.